16 miles to the north of Calvados lies the neighborhood of Normandy Landing Beaches. Get out and explore the local attractions! To reach Normandy Landing Beaches from Carpiquet Airport, pick up your luggage and make your way 11 miles to the north. Book a hotel and flight package through Expedia and earn some savings. We love to minimize your obligations by combining your lodging and flight bookings to save you even more money. Treat yourself in Normandy Landing Beaches with the extra cash. Wouldn't it be nice to save up to C$590? Book your group's travel package soon! Expedia boasts some of the best prices you've ever seen. Almost all hotel bookings can be changed without any extra charges from us. You don't have to drive too far to find some top-notch attractions. Start off with visits to Juno Beach and Gold Beach. Also, don't forget about Courseulles Equitation and Mini Golf Cote Green. 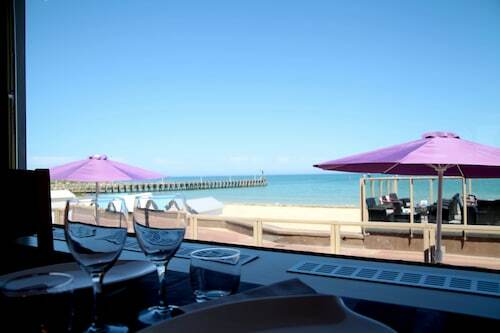 One more option is to head over to a few nearby neighborhoods, including Ver-sur-Mer and Crepon. The Calvados central area boasts several entertaining things to do. Festyland is an option you don't want to skip. Wandering the rooms and halls of a museum is an excellent way to pass a stormy day. Recommended ones include Juno Beach Centre, America Gold Beach Museum, Chateau de Creullet and Arromanches D-Day Museum. Take the youngsters to some family-oriented destinations, including Courseulles-sur-Mer Carousel and Arromanches 360. Learn some lessons from the past at a few of the close by time-weathered sites, including Chateau de Creullet and Mulberry Harbour. 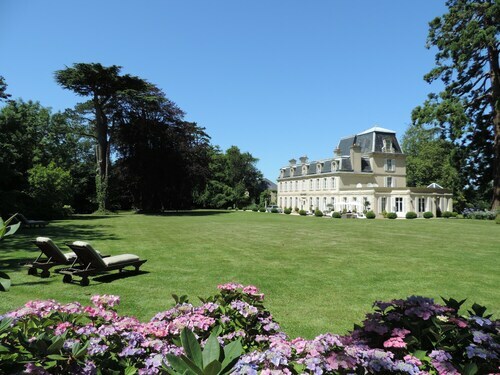 At the moment, there aren't many accommodation options on our Normandy Landing Beaches hotels guide, so be sure to book early on if you want a nice place to stay. Some of the lodgings that might suit your needs in and around Normandy Landing Beaches are the Ferme de la Rançonnière ou Manoir de Mathan and La Cremaillère. I loved this hotel and spa. The location is fantastic but the restaurant is not a good value. Way too expensive for what you are getting. Otherwise, a great stay. Very clean and within walking distance of town.the room was spacious for three adults. Good all round hotel a bit tied but looks Like the owner is trying to improve things. We were cycling was given an locked area for Bikes so good for us. 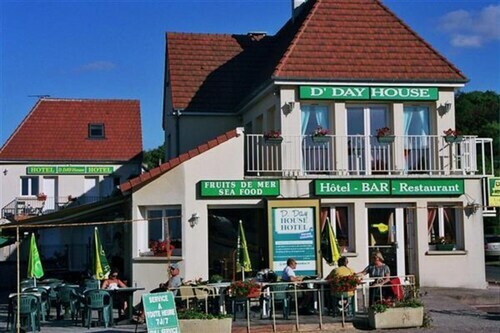 Great setting and location for Normandy beaches. Excellent service and food. 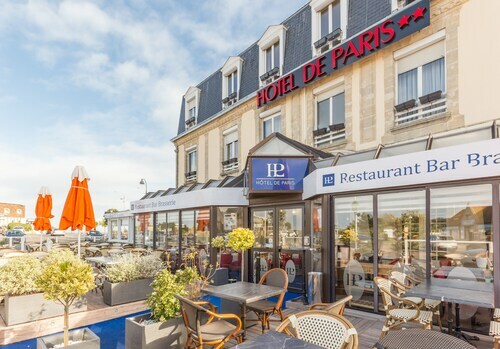 Situated in Saint-Laurent-sur-Mer, this hotel is within 1 mi (2 km) of Seine Bay and Omaha Beach. Omaha Beach Memorial Museum and Ferme de la Sapiniere Winery are also within 1 mi (2 km). Great location if you need to catch the Brittany Ferries as the terminal is right across the street.